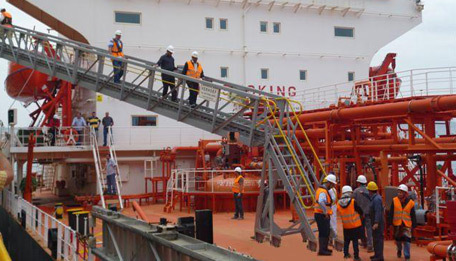 Design and manufacture of reliable gangway systems. Dutch high quality products leading to optimal safety. Long lifetime at minimal costs. Over 850 systems supplied to nearly 70 countries worldwide. Many repetitive clients for decennia long. Both standard & custom-made systems. In compliance with explosionproof regulations. 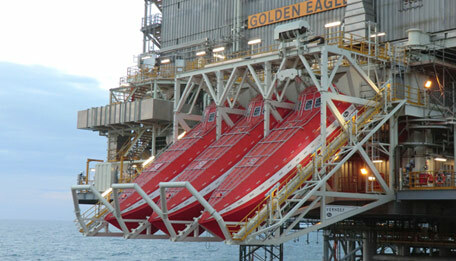 Can be equipped with cranes, cabines and firemonitors. Dutch high quality leading to optimal safety. Aluminium alloys for strength and long lifetime. SOLAS / DNV OS-E406 and NORSOK R-002 certified. Large variety in sizes and capacities. Both standard systems as well as retrofits. Flexible solutions for evacuation and transport of crew and goods between fixed and moving objects. A reliable combination of Dutch and Norwegian design. Minimal impact on the environment, highest safety for users. Cost efficient solutions designed in accordance to client's specifications. 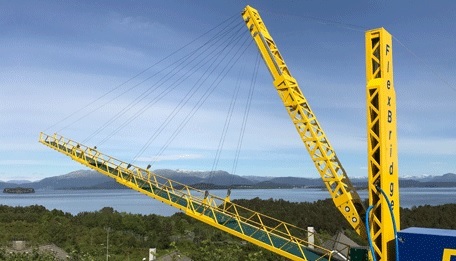 Local company representation in both Norway and the Netherlands. 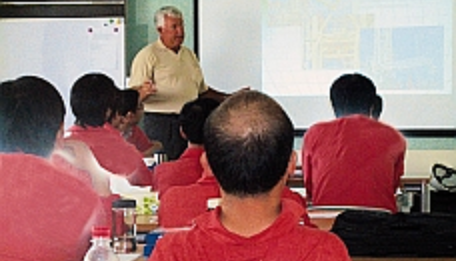 Installation, commissioning and crew training and regular inspections. Many spare parts readily available from warehouse. Refurbishment of existing equipment and life time extension. Service agreements for predictable maintenance. Budget and optimal product reliability.